Build an interactive map of cameras from Shodan. 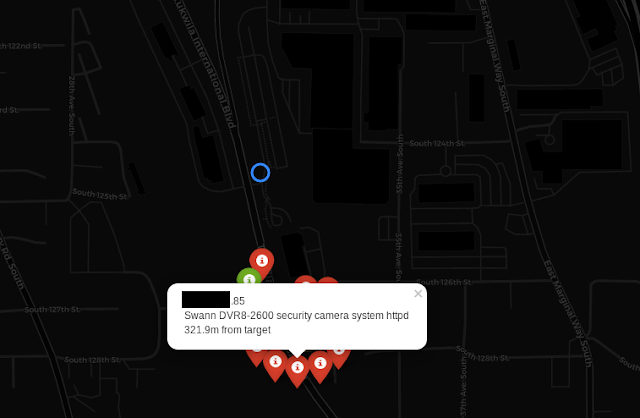 It can be used only with a paid Shodan plan. Build with Python 2. 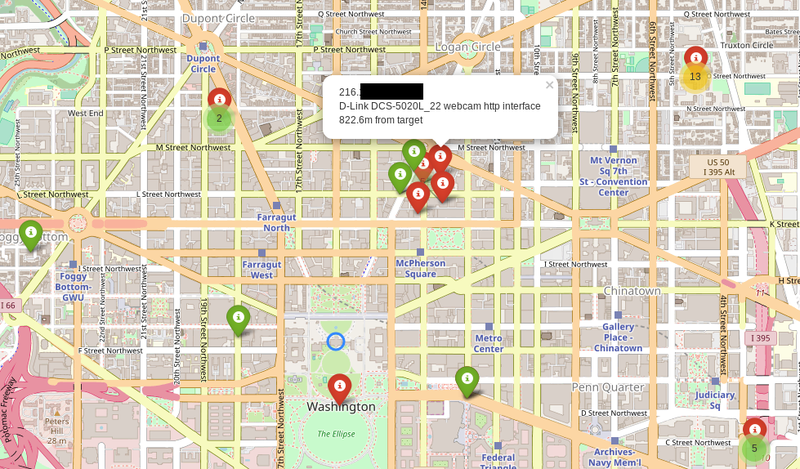 [email protected]: python kamerka.py --address "White House"
Do not test on devices you don't own.